Hello and good morning guys, welcome back to my website. This day I want to share with you about mobile legends heroes review. Well, my review this day is about Estes. So, how much you know about our elf king? Do you know how to use his healing power? Do you know how to become a great support for your teammates? Find out how to be a good support that useful for your team today only on my website! There are so many heroes that being updated by Moontoon as the developer of this game. The number of heroes that available on this game grows up faster and faster along with the game complexity. However, even though the complexity of this game grows much complex each time big update coming. The player of this game will adapt their own self in no time and the loser will leave this game with unfair feeling. Well, this is what the developer try to teach us. That loser will be left alone behind everyone. That’s why to make you not left behind, you need a new hero that suits with your gameplay and mastering it! 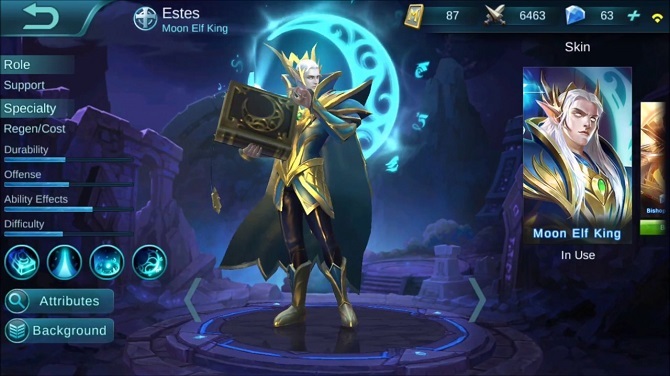 Why not give a shot to Estes and look at my Mobile Legends tricks? Who knows maybe my tricks would be useful for you. 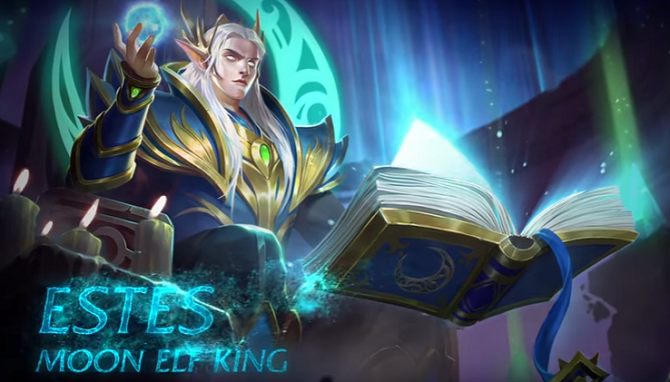 Estes is the Elf King with an enormous power of healing. Well, even though Estes seems so powerful the truth is this hero is so fragile. So, the question now is how can you be useful for your team if you are dead even when the war hasn’t started yet? Well, that’s why I will give you some of my Mobile legends tips and tricks on playing estates to you. Try to make magic shoes. Because you have the most important role in your team, you need to make sure you still alive until the last war to heal your time. This shoes will help your team gain heal as fast as possible because this shoes will reduce 10% of your cooldown. Faster cooldown is better, right? This item is the most important item for you. Aside from the need of mana, the status that this item grant to you is quite nice too. Because you will be aimed first, you also need a defensive item to stay longer on the battlefield, try to make Oracle for health regeneration every time you took damage from your enemies. If one life doesn’t enough for you, maybe two is enough! Try to make immortality to make sure you can support your team until your last breath! Well, I think my article today about Mobile legends Heroes review is enough for today. If you think my article today is useful for today, please share my article today to the other Mobile Legends player. Don’t forget to share my article today with the other player. I hope we will meet in my next article and have a nice day guys. Top 10 Nightcore Songs You Should Hear Before You Deaf!! !